Creating multicellular structures is a delicate procedure. For instance, the human heart is comprised of more than 2 billions of muscle cells that should be aligned and interact with one another to work properly. While 3D Bioprinting is a promising technology that allows scientists to create biological tissues, the problem remains—there is no single method available that uses a high level of precision to create multicellular structures that are functional, viable, and has good integrity. Researchers from the Carnegie Mellon, Penn State as well as MIT have developed the acoustic tweezers technology which is a technique that utilizes sound waves to trap as well as manipulate individual cells. This technology is also used to align, transport, separate, and pattern individual cells without causing any cellular damages. The acoustic tweezers created by the researchers come with a microfluidic device that uses sound wave generators to create sound waves along the edge of the device. 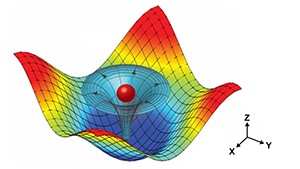 The design of the device allows the researchers to manipulate and capture single cells. The device provides a precise level of control when manipulating cells in terms of their spacing and geometry thus allowing scientists to explore the creation of tissues with complex geometries and patterns. The results of the study provide a novel way for scientists to manipulate live cells in 3D without any invasive contact or biochemical labeling. This leaves the biological state during the manipulation in its original and unadulterated state. This can lead to new possibilities in research applications in fields like neuroscience, regenerative medicine, biomanufacturing, tissue engineering and cancer treatment.